Other than displaying the time, date and chronograph instruments, a watch says a lot about the person who wears it. Since way back when, timepieces were and still continue to be an important accessory one can wear. And although you may wear a fancy watch, you'll end up reaching for your smartphone to tell the time more often than not. It's a habit that came to be as a result of modern society. But some of us feel weirdly incomplete without wearing one. And we're not ashamed to admit that we too reach deep into our pockets for that conveniently back-lit digital clock that just so happens to be our everything device. 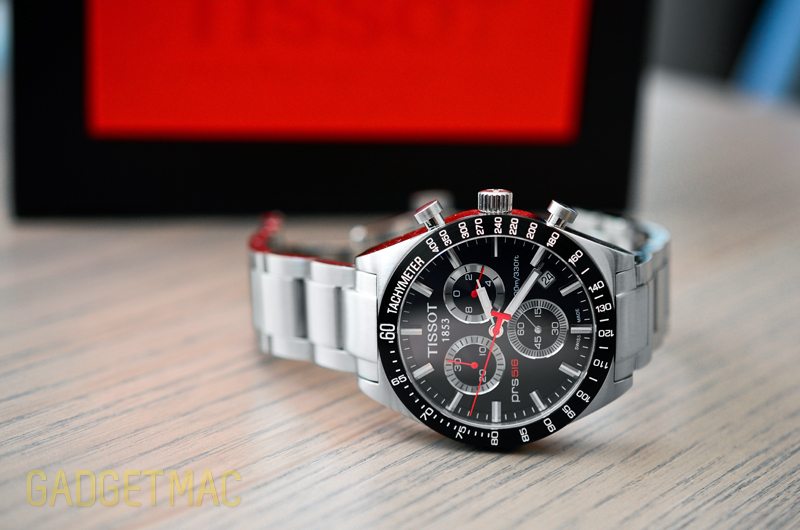 Our hands-on today includes the Swiss-made PRS 516 watch by a company called Tissot. You may or may not recall the name immediately, but chances are that you've seen one of their watches at a watch boutique and just about everywhere watches are sold. Tissot has been around for years and they've been in the Swiss watch making biz since 1853, which is proudly stamped on every watch face Tissot makes. Tissot watches are known to be in the affordable category as far as known brand named watched are concerned. The PRS 516, which our friends at Ticwatches kindly let us get our hands on, is actually a part of an entire series of Tissot's Sport lineup which includes a magnitude of styles and color flavors. This particular PRS 516 model we've got here is the T0444172105100 that retails for $550, or at a more pleasant $330 over at Ticwatches. Tissot's PRS 516 is a chronograph watch with a quartz movement that features a scratch-resistant sapphire crystal surrounded by a beautiful black metal tachymeter bezel (static), and can submerged under water down to depths of 330ft/100m. 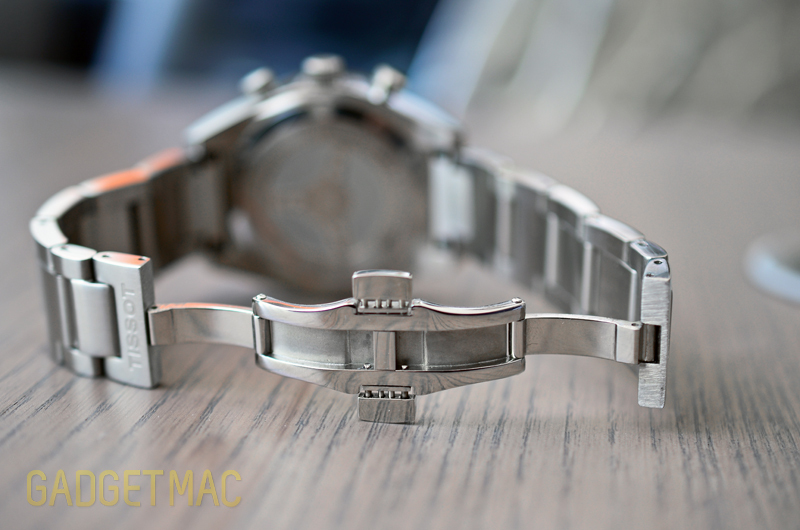 Attached is a rather bold looking stainless steel wrist strap finished off with a subtle brushed metal finish and high-polished trimmed edges throughout the watch casing, strap, chrono and crown buttons. The dial on this model is black contrasted with flaming red hands that give this watch its sporty, speedometer-like style that we really like. You can also get this same exact model with a white dial and black bezel for a more brighter color scheme. It has a 43mm case diameter that wears nicely on your wrist without looking too big or too small. This watch is without a shadow of a doubt classy, yet it's also flashy at the same time. You have those three circular chrono sub dials that have a high level of polish which reflects light surrounding you very brightly. This probably isn't the ideal casual watch for day-to-day use as its quite hefty. 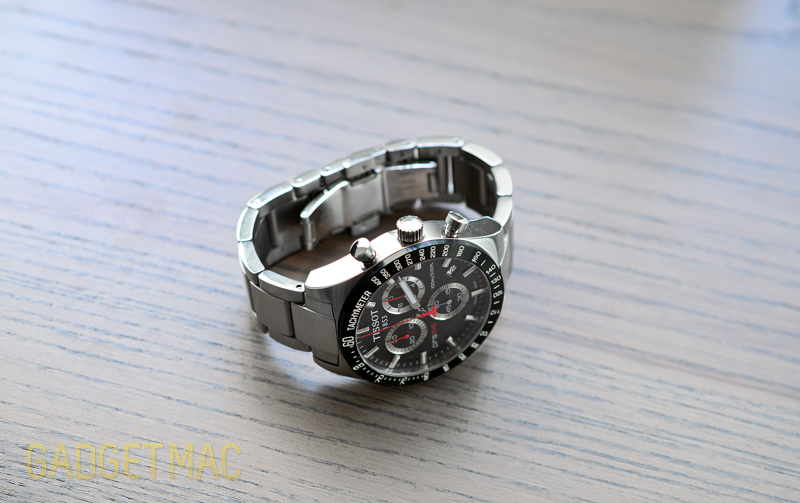 Besides having chrono dials, there's a small date display, a must on any watch. The PRS 516 is a proper analog men's watch (sorry there ladies), with that very familiar sporty watch design inspired by 1960s motorsport racing. It even has a steering wheel stamped on its case back. By no means is this a unique watch, but it's not a boring one either. In fact, we actually think the PRS 516 has a lot going on. That numeral-less watch face is very much legible, however, we're afraid to say that when night falls, you won't see a thing. While there are plenty of luminescent indicators, the don't shine quite as bright as we'd hoped. What's more is that if you take using the chronograph seriously, the PRS 516 isn't the most accurate watch to be using for such purpose. We tried retuning it, but it seems to be off my a hair. Taking a closer look at the quality of the PRS 516, one will notice that while the build quality is adequate, the craftsmanship is not up to par with a watch that costs upwards of $1,000. Now granted you're paying half that much for the PRS 516, and for what you end up paying you won't be disappointed by the quality of construction. In other words, you're not getting more than you pay for. It's worth noting that the black bezel doesn't have a fine finish to it and is prone to scuffing. The watch feels solid and quite heavy for a 43mm size, so that's something to take note of. The chrono push buttons are large and easy to press with great tactile response given by them. If you're looking for a classy dress watch with some eye-catching oumph to it, the Tissot PRS 516 is an affordable choice we would recommend you take a look at for $330. If it was up to us, we would look for something else instead of paying full retail price for the PRS 516. Comfortable to wear and looks supreme from far away. We did not expect to see a butterfly clasp on this watch, so it's a truly welcome feature that works flawlessly and makes closing and opening the wrist clasp a breeze using one hand. Simply pinch both ends and open sesame it is. The adjustable crown does not screw in, but helps you makes adjustments to the chrono hands and of course set the time and date accordingly. Nicely presented box with some included documentation and literature about the brand and Tissot's lineup.